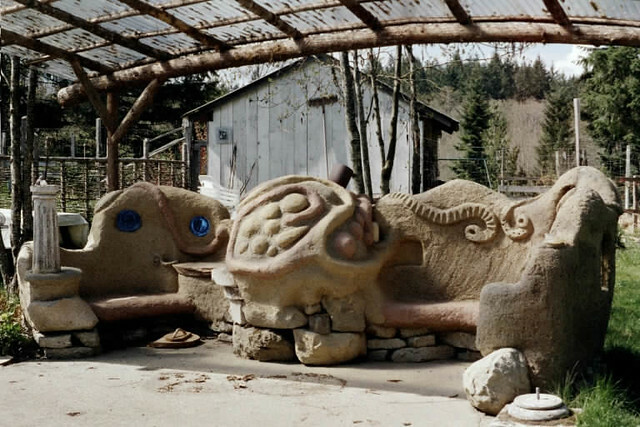 Cob structures provide durable designs, but aren’t only reserved for housing. They can also make great outdoor ovens. Whether you are a total foodie or just enjoy a good fire cooked culinary feast, a cob oven is a versatile, natural way to heat up the cooking flame. They are not expensive or hard to build, are long lasting and will provide hours of outside entertainment. A brick base is laid and then mud, clay and grasses are formed into a dome shape and allowed to dry. Many oven designs use handmade bricks that form a circle once finished, but they can be any made into any shape by using a sand form, as long as there is adequate ventilation. Also, recycled glass bottles are used which are ideal for heat absorption and distribution. Straw is placed on the top of the finished product for an insulated coating and then a covering is laid. Look at this pictorial or watch this 3 part video series for visual step by step instructions. 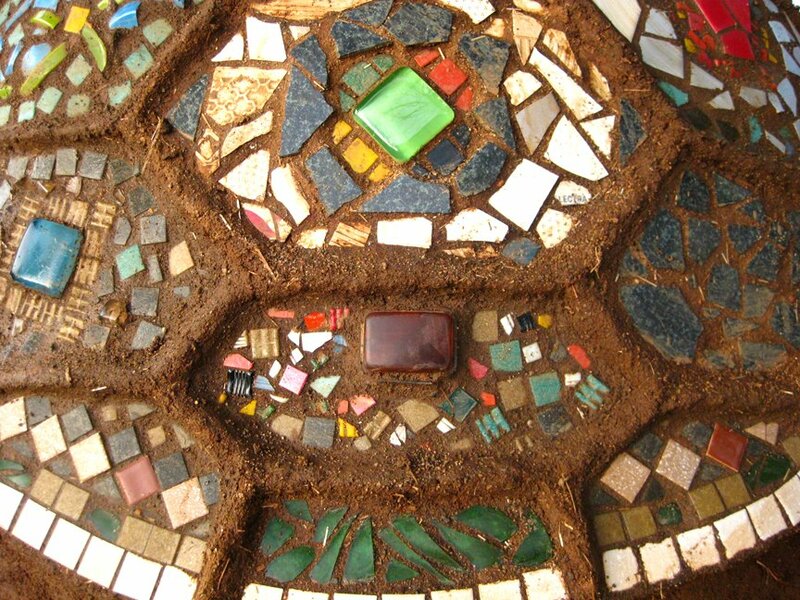 They can also be set in plaster and decorated with mosaic tiles once finished. Cob constructions are also versatile and can even be designed to offer more than one use. The cob oven and bench combination is one example of a multi-use piece. Perfect for chilly gatherings outside, the bench warms as your dinner cooks. Fire ovens are versatile cooking implements, and good for cooking breads, roasting fresh vegetables and nuts or heating desserts. They are also known to make the perfect homemade pizza. If you have a cob oven or are up for a weekend do it yourself project, try one of these recipes for fire roasted pizza in earthen cookware that has been around since ancient human ingenuity and fire met. Have you ever cooked with a cob oven? Please let us know of any recipe recommendations and share the goodness.